Elephone is one of the well-known brands of Chinese smartphone manufacturers among the users who are interested in this market. This company has already built an interesting portfolio of devices but it seems that sustainable quality has always been evasive for it. Hence, with every announcement of a new model, experienced users wonder whether the acclaimed specifications and features correspond to the real deal. 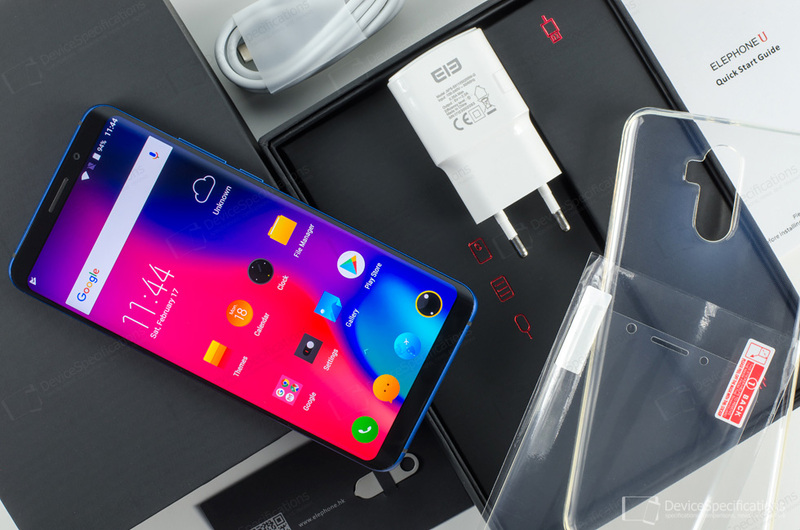 The latest offerings from Elephone are the Elephone U, which is the subject of the following review, and its U Pro sibling. The only difference between the two is the chipset. The U is based on MediaTek's Helio P23 SoC and the U Pro packs a Snapdragon 660. Both are the first smartphones from this brand to have AMOLED screens, not only this, these are 3D curved displays sourced from BOE and their design is strongly reminiscent of the one of the Galaxy S8/S8+. So the usual question about the credibility of specifications and features remains. In addition, the Elephone U retails a bit below USD 400, which places it in the upper-mid-range price category that poses yet another question - is it worth your money? 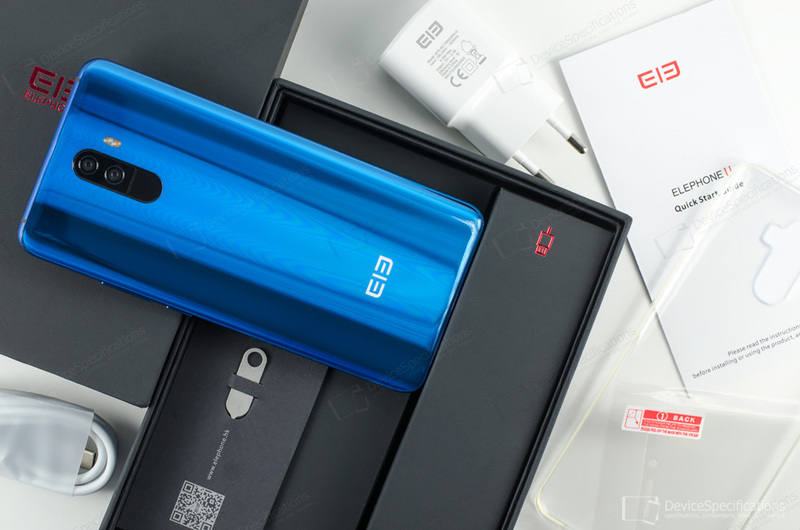 The following review of Elephone U will examine every detail of this smartphone and at the end, you will definitely be able to answer these questions yourself. Elephone U is built around a 5.99-inch curved AMOLED display with a resolution of 1080 x 2160 pixels (FHD+). The display panel is made by BOE and has 3D curved vertical sides. Its protection is ensured by a 3D curved Corning Gorilla Glass 5. The frame is made of stainless steel alloy while the back is 3D curved and covered with a 3D curved Corning Gorilla Glass 5 as well. The thin and lightweight body houses a MediaTek Helio P23 chipset in its downgraded variant - MT6763V. In this case, the SoC employs an octa-core Cortex-A53 CPU with four 2GHz cores and four 1.5GHz cores. The dual-core Mali-G71 MP2 GPU ticks at 700MHz. As long as it concerns RAM and internal memory, the model has two variants - 4GB+64GB and 6GB+128GB. The RAM is LPDDR4X, double-channel, clocked at 1600MHz. The internal memory can be expanded with up to 1TB. Both are made by Samsung. The camera department of Elephone U features an 8MP front snapper with a Samsung S5K4H7 sensor and an f/2.8 lens. A future OTA update will bring face recognition to it. On the back, there are two cameras with identical sensors - 13MP Samsung S5K3L8, however, the first shoots in colour and the second - in black and white. They are aided by an ArcSoft algorithm, PDAF, and a dual-tone LED flash. The model has a single, bottom-firing speaker coupled with an NXP Smart PA amplifier. There's no 3.5 mm jack and a headphone adapter is included in the package. On the back of the device, a fast and accurate fingerprint sensor is located. Power is supplied by a 3620 mAh Li-Pol battery that supports MediaTek Pump Express Plus and is coupled with a 5V/2A fast charger. The model supports the following network bands 2G GSM (850, 900, 1800, 1900 MHz), 2.5G CDMA 800MHz, 3G TD-SCDMA (1880-1920, 2010-2025 MHz), 3G W-CDMA (900, 2100 MHz), 4G LTE-FDD (800, 850, 900, 1800, 2100, 2600 MHz), 4G LTE-TDD (1900, 2300, 2500, 2600 MHz) with LTE Cat. 7 speeds as well as radio with RDS, dual-band Wi-Fi 802.11 a/b/g/n, Wi-Fi Display, Wi-Fi Direct, Wi-Fi Hotspot, Bluetooth 4.0, GPS, GLONASS. Elephone U has a USB Type-C 2.0 port with OTG support and runs on Android 7.1.1 Nougat with Elephone's overlay on top.